St. Martin's Griffin, 9781250047304, 320pp. 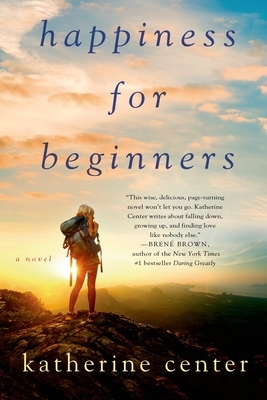 A year after getting divorced, Helen Carpenter, thirty-two, lets her annoying, ten years younger brother talk her into signing up for a wilderness survival course. It's supposed to be a chance for her to pull herself together again, but when she discovers that her brother's even-more-annoying best friend is also coming on the trip, she can't imagine how it will be anything other than a disaster. Thus begins the strangest adventure of Helen's well-behaved life: three weeks in the remotest wilderness of a mountain range in Wyoming where she will survive mosquito infestations, a surprise summer blizzard, and a group of sorority girls. Yet, despite everything, the vast wilderness has a way of making Helen's own little life seem bigger, too. And, somehow the people who annoy her the most start teaching her the very things she needs to learn. Like how to stand up for herself. And how being scared can make you brave. And how sometimes you just have to get really, really lost before you can even have a hope of being found.